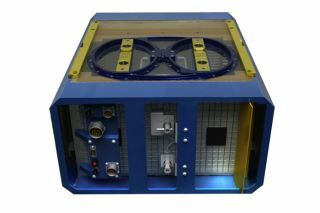 The AEM-X is an advanced rodent habitat module designed for long-duration missions on the International Space Station. NASA is hoping to launch rats to the space station as part of a study on the biological effects of long space missions. Call them the "rat-stronauts." NASA is drawing up plans to launch a team of rats with the right stuff to the International Space Station as early as this year. You know, for science. While rodents have flown on space shuttle flights in the past, those missions have only lasted a week or two. This new rats in space mission, however, could range between 30 and 90 days, depending on the availability of spacecraft like SpaceX's Dragon capsule to ferry them on the roundtrip. "This will allow animals to be studied for longer period of time on space station missions," she said, adding that of the 35 or so studies where rats have gone into space, few of them have gone for more than two weeks. The actual schedule for launching the rats to the space station and returning them back to Earth is not fully figured out yet. A SpaceX Dragon spacecraft typically launches supplies to the space station, then returns cargo to Earth with a water splashdown, spending some time in the ocean before being towed to port. That could potentially be uncomfortable for the rats. Robinson said that launching rats on for the experiment are preferable to mice, which are smaller and require less food, because rats' neurocognitive functioning is similar to that of humans. Bringing the rodents on board is just one of several ways in which the space station is changing for science. NASA astronaut Steve Swanson holds a fistful of lettuce grown on the International Space Station as part of the Veggie experiment to test space crops in orbit. Robinson's remarks came during NASA's Destination Station: ISS Science Forum, in May, which showcased science work on the space station in the context of a decadal survey of station program science objectives. Among the things investigators are pushing for are more life sciences experiments on station, to better understand the effects of microgravity on living organisms. A recent example of that is "Veggie" (NASA's Veg-01 experiment), which is supposed to test the feasibility of growing lettuce and other plants for space colonization. Veggie arrived on the space station with the last Dragon cargo shipment in April, and is now operational in orbit. Other critters NASA hopes to fly are fruit flies. That's because, of the 900 known genes for human disease, about 700 are present in flies, said Marshall Porterfield, director of the space life and physical sciences division at NASA Headquarters in Washington, D.C. Fruit flies are also commonly used on Earth because they have short lifetimes, allowing investigators to track changes over multiple generations. "The space station is the perfect laboratory for these long-term types of study experiments," Porterfield said. NASA is flying the ForceShoe built by XSENS on the International Space Station to test ways of measuring the performance of portable load-monitoring devices in orbit. An experiment on the station can take anywhere from 15 minutes to 140 hours for astronauts to perform, Robinson said. There are about 200 experiments active on Expedition 40 right now. Those that take longer tend to be human body-related experiments, and combine multiple investigators to get the most return for the science. One example: The XSENS ForceShoe launched to the space station in late May. The ForceShoe has sensors to calculate how much "loading" the astronauts are putting on their feet during exercising. The closer astronauts can simulate Earth's gravity when on a treadmill or doing weight lifting, the better, Robinson said. The first generation of space station exercise equipment was inadequate, and the next generation – although improved – is missing the tools required to make these measurements accurately. "We have that next generation of hardware, but the force measurement that we had hoped to get … isn't winding up working," she said, adding the hope that these shoes' sensors will be able to send that data to investigators. If an experiment is not directly related to NASA's mandate of exploration, the agency often encourages the partner to apply to CASIS (the Center for the Advancement of Science in Space), a nonprofit organization that manages the space station's U.S. laboratory with experiments of its own. For its own part, CASIS said it wants to do what is "necessary to be successful" and not "to put a limit," said Duane Ratliff, its chief operating officer. The organization works closely with NASA to see if there are ways to work around limits in astronaut time to achieve scientific objectives.